It’s been 132 years since Michelin developed the first pneumatic tire and mounted it on a motor vehicle in 1885. As the tire service industry developed and expanded, the innovations did as well—from hot patches to the introduction of radial tires, the industry is constantly evolving. Fast-forward to the digital age, where the tire service industry is constantly challenged to operate more efficiently and safely, all while providing savings to the end consumer. To stay successful, tire service businesses are investing more into technology and their equipment, which often go together. Alignment machines need software updates to stay current with new vehicles on the road, and wheel balancers come equipped with large touch screens to help technicians on the job and throughout training. Tire repair shops are also incorporating mobile payment options to keep up with the growing consumer use of apps like Apple Pay, Android Pay, and Samsung Pay. And VMAC has developed the world’s most affordable gas driven rotary screw air compressor. The VMAC G30 gas engine driven air compressor is the best choice in the industry—customers looking for a lightweight, compact rotary screw air compressor will be impressed with the power and price of the machine. 100% duty cycle means the VMAC G30 air compressor will deliver up to 30 CFM on demand and without interruption. This compressor is packed with power, designed to be about half the size and weight of any other competitive models available. 50% more power, 50% lighter, 50% smaller. 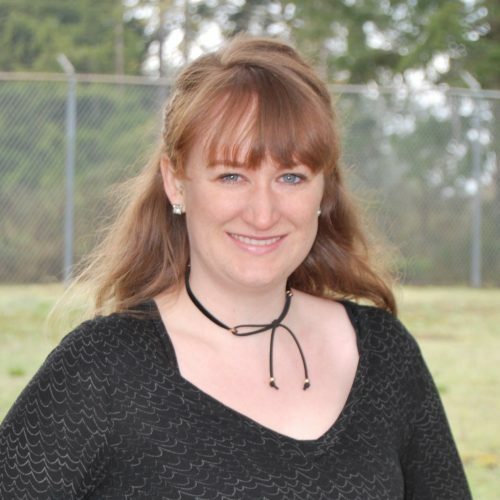 What makes the VMAC G30 air compressor so advanced? It’s the patented rotary screw design. 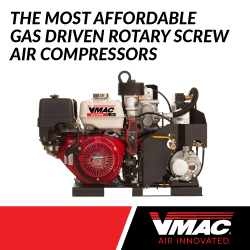 Designed and manufactured in British Columbia, VMAC air compressors feature proprietary rotary screw technology. Turn most tire services into nothing more than a pit stop, with a VMAC G30 gas driven air compressor. With on-demand air, you’ll get your jobs done faster, allowing your customers to get back on the road, and you on to your next service call. When planning your 2018 budget, be sure to upgrade your air compressor to the latest technology with the VMAC G30 gas driven air compressor. Learn more about the VMAC G30 gas drive air compressor, including components and specs. What Is A PTO Driven Air Compressor?